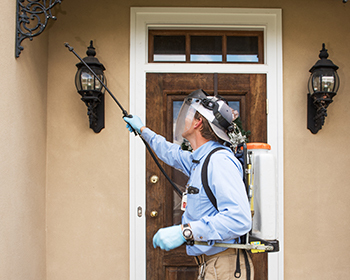 We take an Integrated Pest Management (IPM) approach to your home. That means we identify any needed repairs and/or modifications to the property to help eliminate pest activity. We strive to use the least amount of chemicals in the most effective way to eliminate pests. Don’t let fire ants keep you from enjoying your lawn. An effective fire ant treatment can keep your family and pets safe. Fire ants are very aggressive and can deliver a painful sting while ruining the look and safety of your lawn. Our fire ant control treatment will eliminate current nesting sites and will deter future re-entry into the lawn. 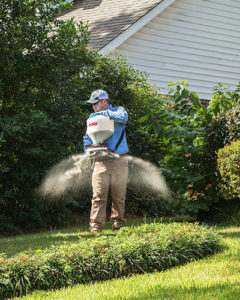 For some lawns, fire ant control is an ongoing process. We can design a treatment plan that is right for you. Pests can transmit as many as 15 major disease-causing organisms including: West Nile Virus, Lyme disease, malaria, plague, and Rocky Mountain spotted fever. Insect stings force half a million people to the emergency room every year. Public health officials attribute the quality of life we have today to three things: better pharmaceuticals and vaccines, better sanitation, and better pest control. 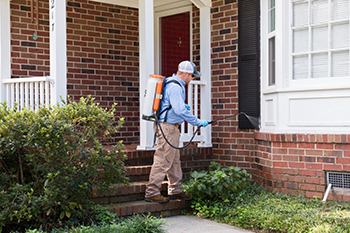 Hargrove Pest Solutions’ 360° Protection Plan includes the termite protection and renewal fee, quarterly pest control, quarterly fire ant service, and monthly mosquito management. This unique plan provides pest protection from property line to property line. After the initial termite treatment fee, all other services will be combined into a convenient monthly payment. Combining all of these services to give you 360° protection will save you 10% on your services beyond the initial termite installation. Below is a brief overview of each service included in the 360° Protection Plan. Termite Protection – Installation of Sentricon® System with Always ActiveTM Technology around the structure (retreatment only and retreatment and repair plans available). General Pest Control – covers pests such as roaches, ants, centipedes, silverfish, earwigs, scorpions, and other crawling insects. Other services such as nest removal, and flea treatments are available for an additional fee. Mosquito Management – monthly service (March-October) including treatment of all vegetation and breeding sites on property. Our Mosquito Service will greatly reduce the mosquito population on your property. We treat all vegetation, areas of standing water, and breeding sites to ensure you can enjoy your yard during the warm season! Fire Ant Control – quarterly treatment of entire property. Our Fire Ant Service will control fire ants on your property and will help to control other pests that live and breed in the yard. With all service, we will return for free in between quarterly visits if pests persist between visits!